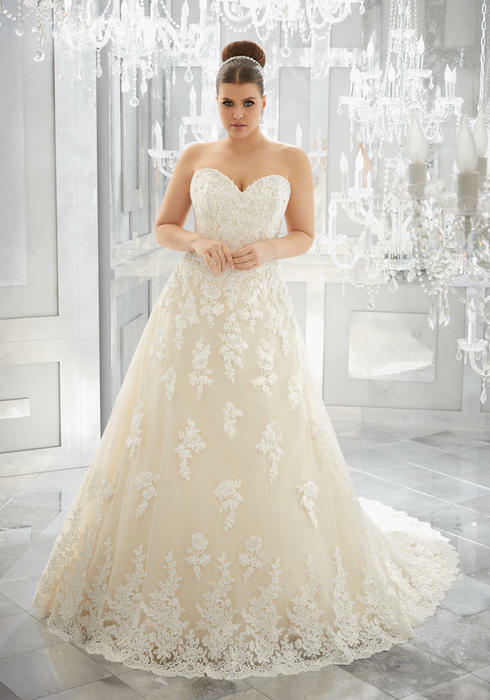 Our Morilee by Madeline Gardner Julietta Collection of plus size wedding dresses is the ultimate blend of glamour and elegance for our full figured brides looking for the perfect fit. 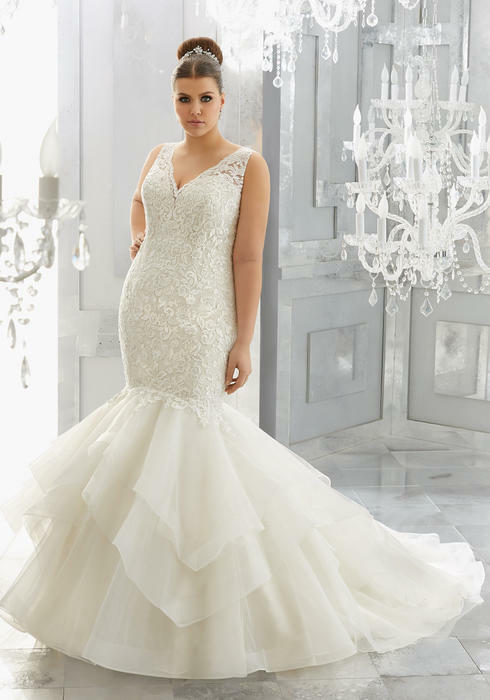 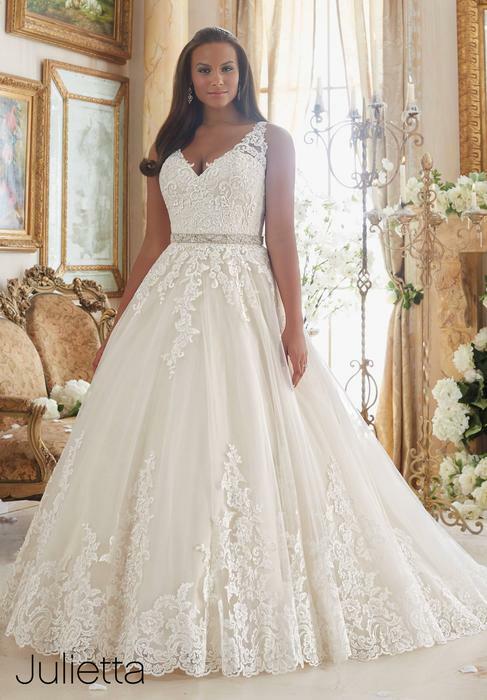 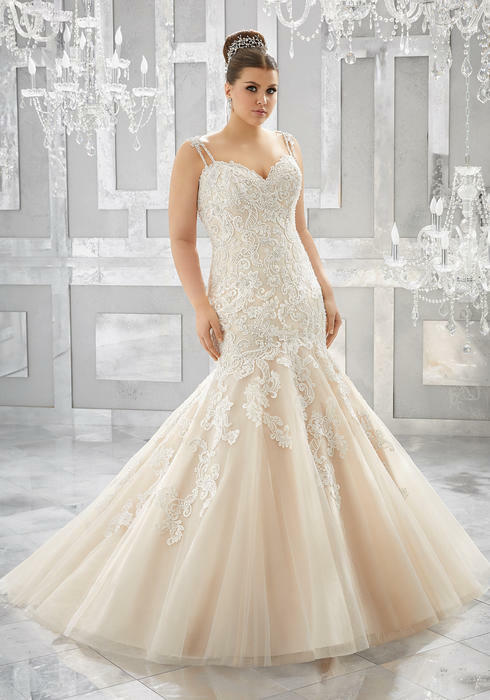 With our focus on helping you to accentuate the curves you love, Morilee uses a variety of amazing styles, textures, and trends to create a plus size wedding gown that will make you feel ever blushing bride. 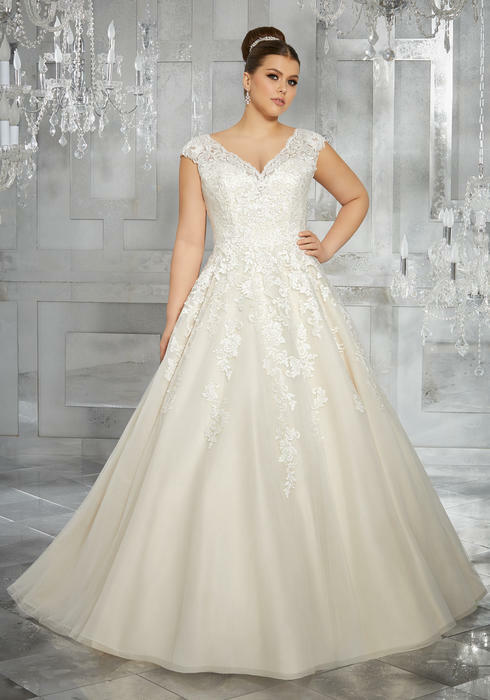 Imagine gliding down the aisle in one of our flounced organza skirts with a sleek corset bodice that hugs you in all the right places. 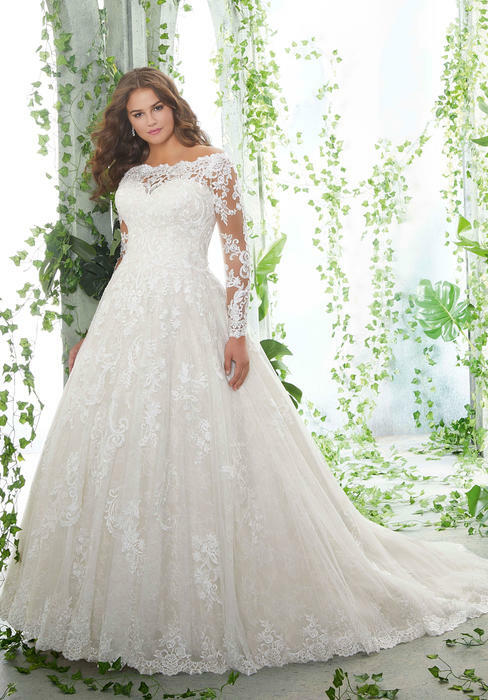 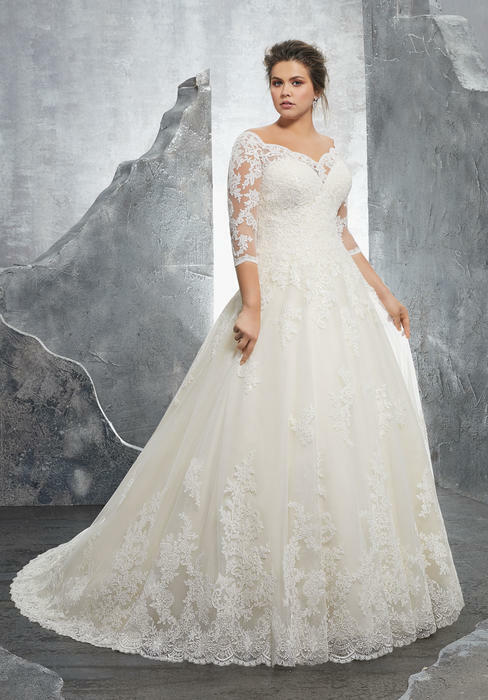 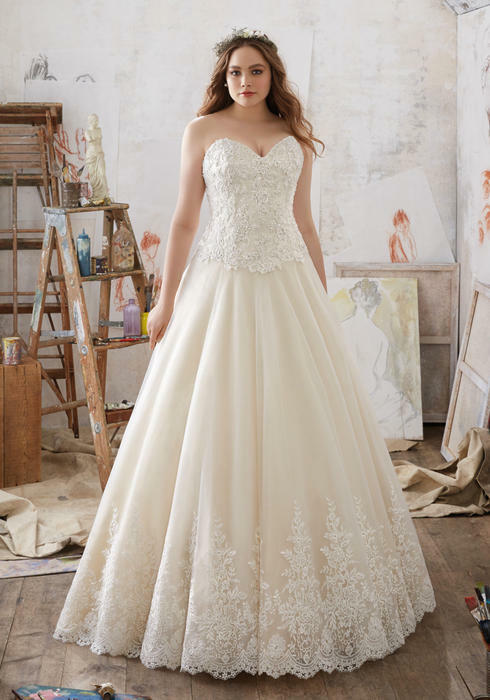 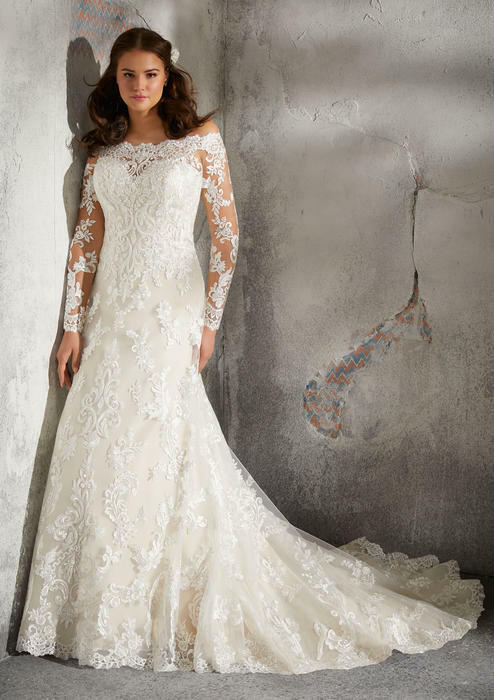 Or picture yourself in one of our romantic plus size wedding dresses made of sparkling embroidered lace and tulle that will give you that extra something you're looking for. 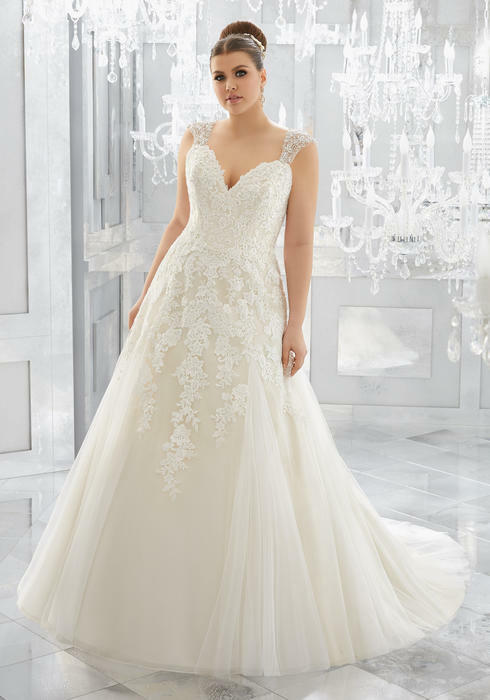 As you will see in our Julietta Collection, Madeline Gardner has brought her extraordinary taste and brilliant designs to meet the expectations of the curvy bride.